Horgan and Wilkinson announced Tuesday morning the debate will be broadcast live on CBC and Global TV networks, and CKNW Radio, starting at 7 p.m. next Thursday, Nov. 8. B.C. Green leader Andrew Weaver, who influenced the controversial terms of the mail-in referendum that is already underway, is not taking part. MUCH MORE BC NEWS COURTESY OF BLACK PRESS IS HERE. Not sure why the change from Horgan. Could he be sensing it might lose? Or does he want it to lose and is just appeasing Weaver? Remember if PR does go through the NDP will not be as prominent as they are today on the BC political front as party platforms adjust to the new voting system and new entrants come on board. Smart people on the left like Tieleman have figured this out which is why he is opposing it. In my opinion, it’s not that Tieleman is exceptionally intelligent, it is just, like always, he knows which way the wind is blowing and adjusts accordingly. I would call him “malleable”. As for appeasing Dr. Weaver. Well, I don’t think Dr. “somebody stole my laptop with all my climate data on it” Weaver can even appease himself. Mark I tend to agree with you. Horgan has positioned himself perfectly. Had he won the last election with his own seat majority does anyone really believe we would be voting on this bit of stupidity. 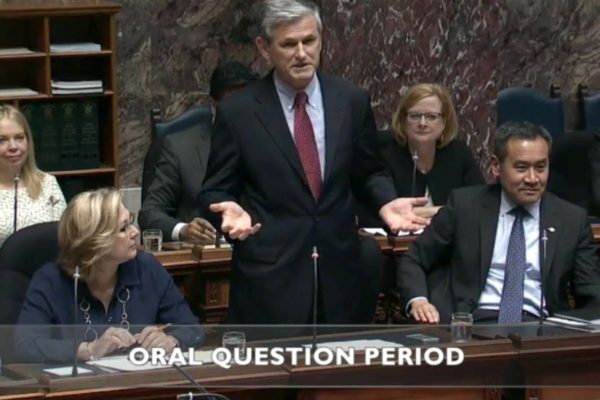 I wonder if Wilkinson will ask that question and make Horgan LIE on TV in front of the 100s of interested parties. As far as Andrew Weaver goes his motives are as transparent as saran wrap. He would likely be willing to over look the Exon Valdez on the rocks in Active Pass in order to secure his MLA pension. So I heard that as of today the record number of returned ballots is from small 35,000 pop community. 1500 ballots returned. This next number might not be correct as I heard it on NW and their news team is pathetic. According to NW so far all of Surrey has returned 9 ballots. Zowie.